Roland’s legacy in the electronic music world is unrivaled. Whether it’s the genre defining TR-808 or the legendary Jupiter-8, Roland’s mark on the music has changed the game decade after decade. 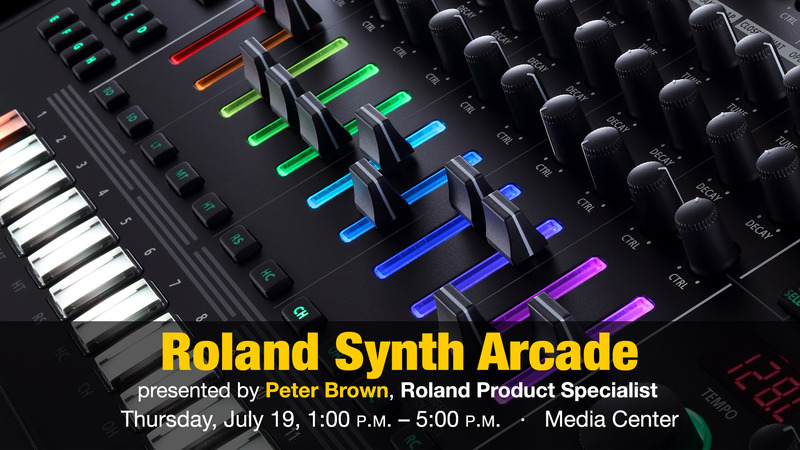 Come experience the latest Roland electronic music instruments in person. Get hands on experience with new and exciting drum machines and synths featuring Roland’s iconic sound and modern workflow.